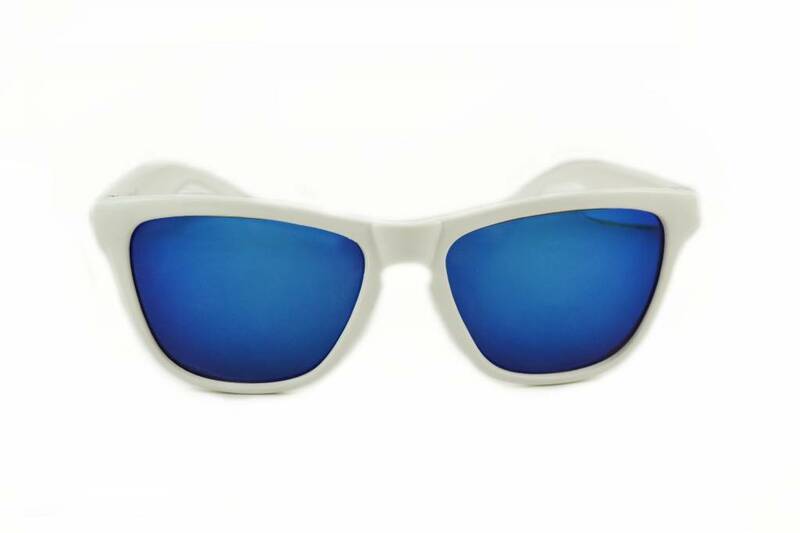 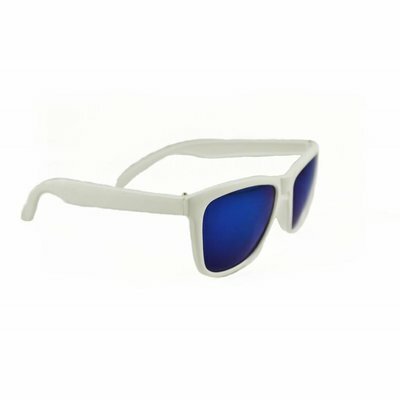 White mirror revo sunglasses with blue lenses. 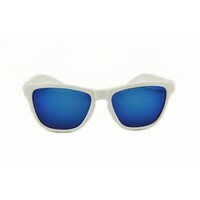 These lenses are UV-protected and great quality. 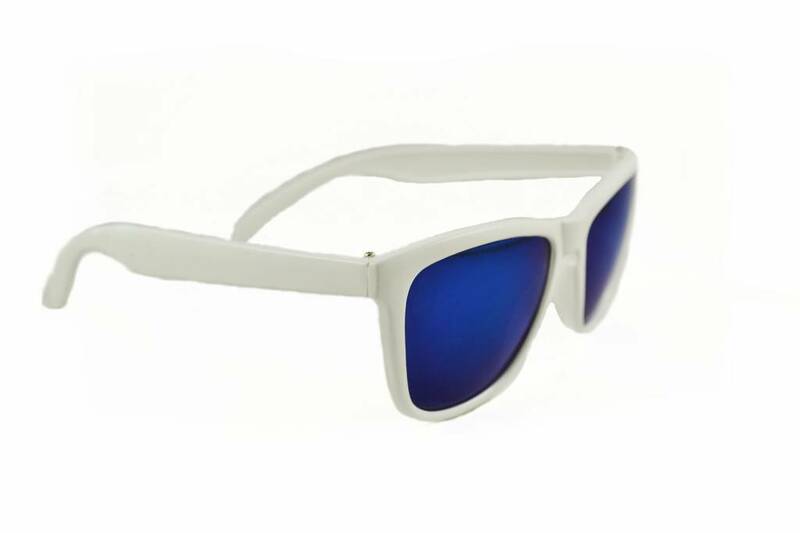 Style your outfits with these flashy white sunnies.